Hello to all, fellow readers and DC Fans. Yes, welcome to our latest issue of “Confessions of a DC Geek”. This time we reach a landmark issue in that we get to double figures. 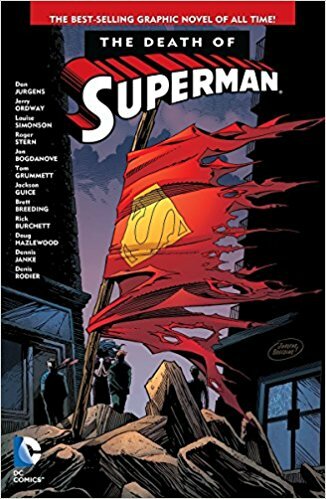 Here we are at number 10 in this series and I am so happy that it has been taken so well by readers of the website and by our DC World team as well, so thank you to all. 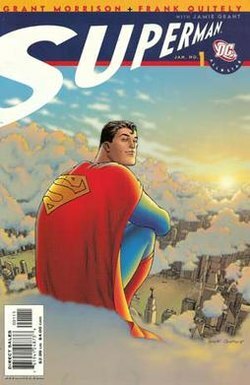 This issue, we have questioned Cainan, a big DC fan (who also enjoys Marvel – “quite right”, John) who, as you will see is another “Superfan” (sorry, I’ll get my coat) of the Man Of Steel. Cainan also has a great presence on Twitter and the world wide web. Therefore, please enjoy this weeks edition and, if like Cainan, you would like to take part in a future issue then please, get in touch – details at the end of the article. First of all, would you mind telling me a bit about yourself – name, age (if willing), where you’re from and what you do for a living, anything else you wish to mention? My name is Cainan and I am from Nashville, TN. During the day I am a network/computer analyst and by night I help run Geek Vibes Nation (https://geekvibesnation.squarespace.com/). 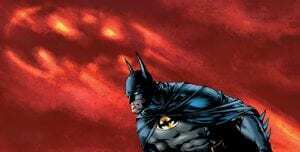 I am a huge film/tv/video game/comic fan and just love talking movies and comics with others. 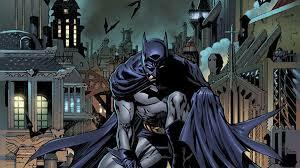 I have been a DC fan since I was 2 years old. I have several images of me in my Superman and Batman pajamas or of me holding toys from the DC line. 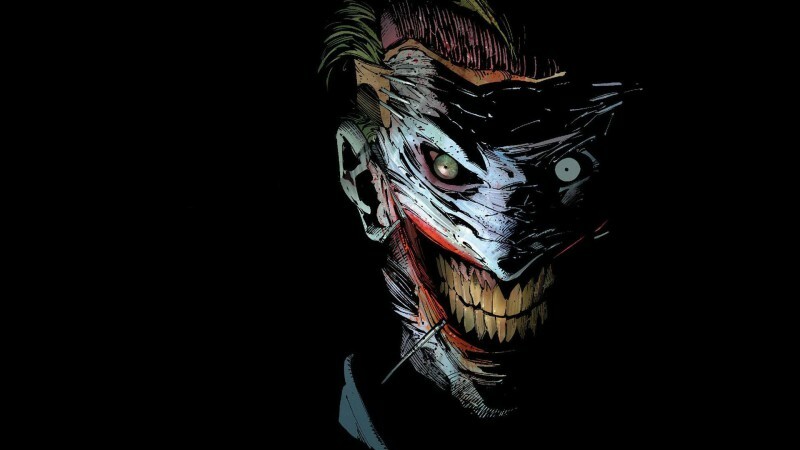 That is a tough one, I would have to say the Joker but there are so many great DC villains out there. Away from the two mentioned above, who is another character you could call a favourite, villain or hero? 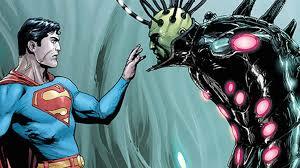 I guess my second favorite hero is Batman and villain would be Brainiac. 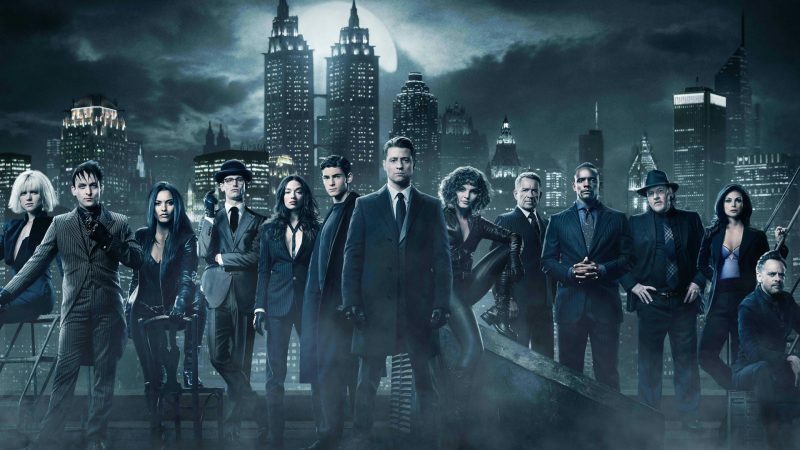 Currently its Gotham for sure, it has only gotten better in my opinion. If we are talking past shows then Smallville is and always will be my favorite DC show. Is there a DC character, one we haven’t seen a live action version of, that you would like to see become part of the movie, TV Universe or even animated universe? If so, who? I cannot think of any off hand. 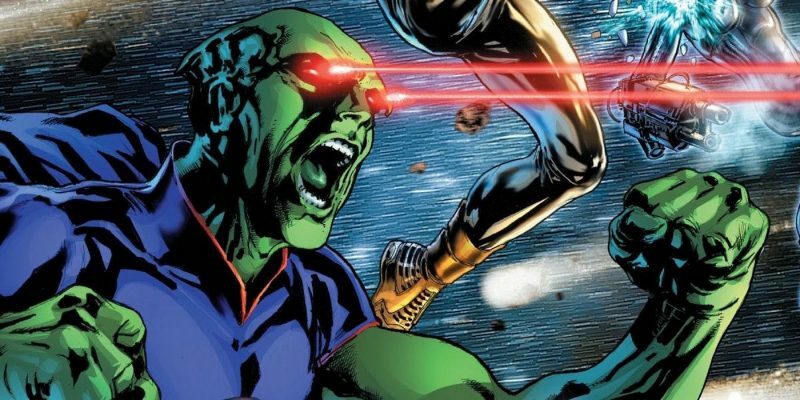 I know we have seen Martian Manhunter on Supergirl and animated series but I would love to see him done justice in a feature film. Is there an actor/actress out there who you would love to see have a role, no matter how large or small, in something DC Universe related? Who and why? Leonardo DiCaprio for sure would be a huge get for DC and I would love to see Charlize Theron in a role as well. I am showing my bias but Henry Cavill for sure. 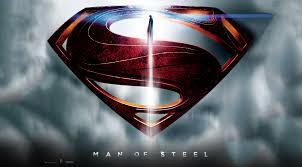 He really has come into his own as the Man of Steel and I think he has done a terrific job representing the character. 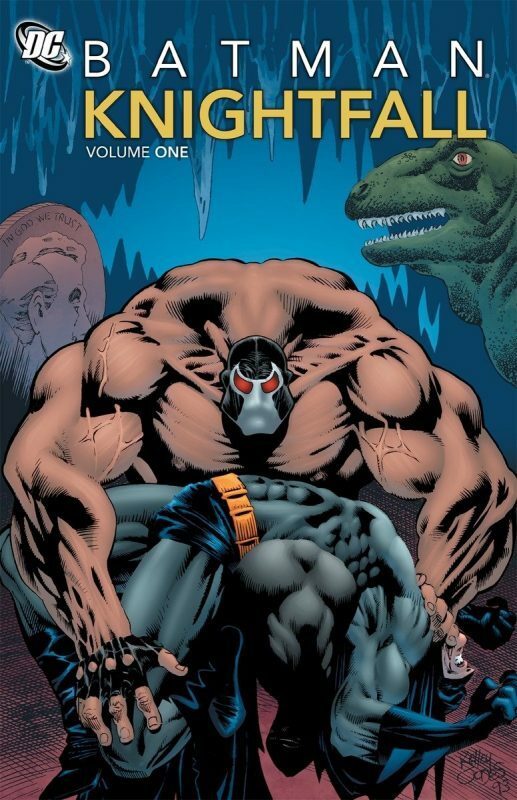 Comics – do you read them? 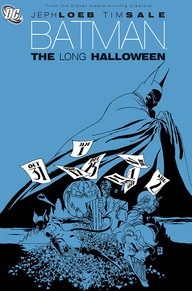 And if so what is your favourite comic/graphic novel to read? 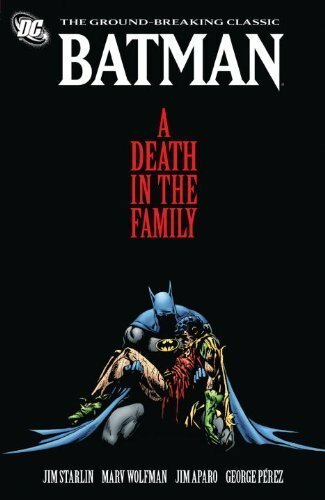 Another great and hard question – I really love All-Sar Superman, Death of Superman, A Death in the Family, Long Halloween, Knightfall just to name a few. 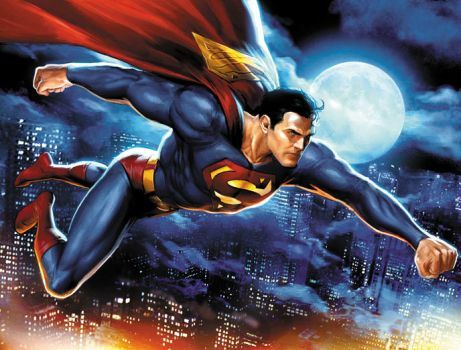 1) Superman – Trunks or No Trunks? Film/TV no trunks, Comics I am ok with him having the trunks but I do not think it has to be such a huge deal whether he has them or not. The trunks are iconic but change is good. 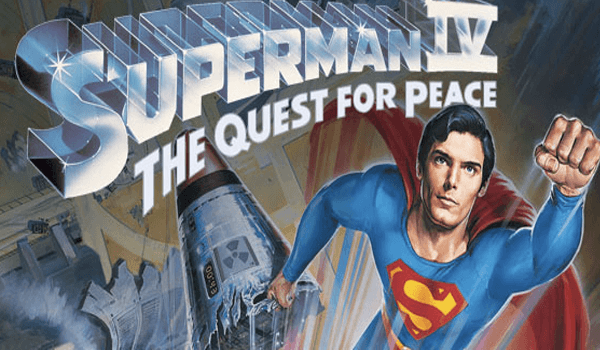 2) Superman IV: The Quest for Peace – We have had our share of very poor superhero movies; is this really the worst we’ve ever seen as many people have stated? I think Superman 4 is very good for a few reasons. We finally get so see Superman fight a super powered being who really challenges him. I know we saw him fight Zod in Superman 2 but they never really had his number like Nuclear Man. I also know this film meant a lot to Chris for the message he was trying to send about nuclear war. It is not the best film but it sure is not the worst by any means. If this was to ever come up (stranger things have happened), what would your SuperHero/SuperVillain name be and what powers would you have? I was given the nickname of Glacier as a kid so I would go with that and I would have similar power to IceMan but also flight and super strength. First up, do you collect large amounts of DC merchandise or is it just a select variety of items that appeal to you, which you like to pick up? I still collect comics from time to time but I do collect Superman Funko Pops and other Superman related memorabilia. 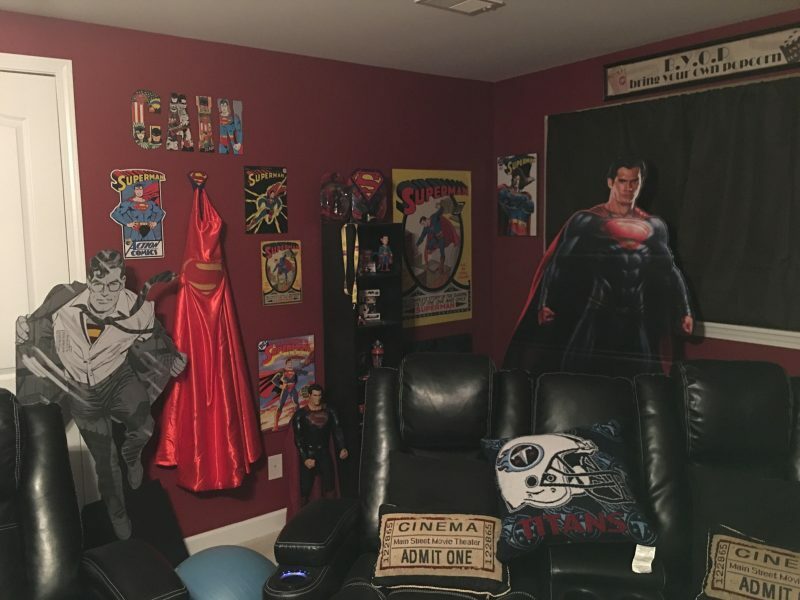 I have a section of my house that is completely devoted to Superman. I collect mostly DC items but I have items from Marvel as well. I have some autographs from Margot Kidder and Michael Rosenbaum that are some of my most prized possessions. I kept the French fry boxes and cups from McDonalds when they were promoting Batman Forever , I also keep cereal boxes and soda cans of DC related characters. I have the original Death of Superman still in the original bag. Not sure it’s rare but it’s not a reprint or purchased from a previous owner. I got it first day it came out. I think my entire area is pretty much what I show off. I do not really have a go to item. I have a standee of Henry Cavill as Superman which might be my largest, though I do have several posters and paintings as well. Smallest would probably be a Matchbox car. Cheeky question, but most and least valuable item in your collection? Least value would be some old movie ticket stubs for past films, most valuable might be the Dale Earnhardt Jr. Superman Nascar die cast I have or even the Death of Superman original comic in bag. 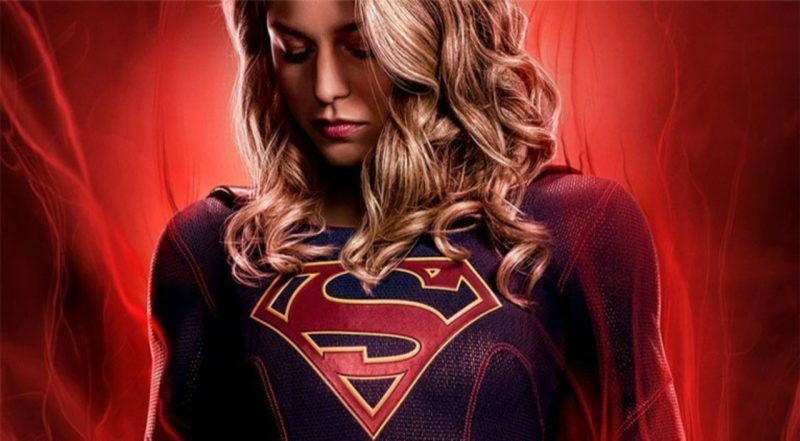 And so, another issue of “Confessions of a DC Geek” comes to an end. My thanks got to Cainan for taking part in this and I hope you go find him online where he is always present, as well as visiting the excellent Geek Vibes Nation website. I hope you have all enjoyed reading this, I certainly did and I am sure that you will all agree that Cainan deserves the title of “DC Geek”. Therefore,if you would like to take your chance at gaining this title then please, do get in touch with myself or the DC World team. I am available of email – john@dcworld.org.uk – or via Twitter @DC_ComicsGeek. You can contact the team on Twitter @_DCWorld. Again, thanks to Cainian. Please fee feel to comment below or on any of our social media pages, always good to hear from you guys. CONFESSIONS OF A DC GEEK RETURNS.